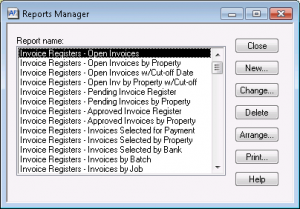 How To Add Office Connector Reports To Sage 300 Reports Menu - Event 1 Software, Inc. Some users may prefer to launch an Office Connector Report from within a Sage 300 CRE Module as opposed to the Office Connector Launch Pad. Note - This tutorial example is designed to work with the Timberline Construction Sample Data. Open the desired Sage 300 CRE Module. Sign in using your Sage 300 credentials. Choose the desired Company Data folder. 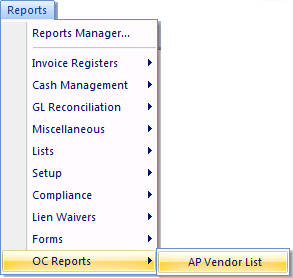 On the Reports menu, click Reports Manager. 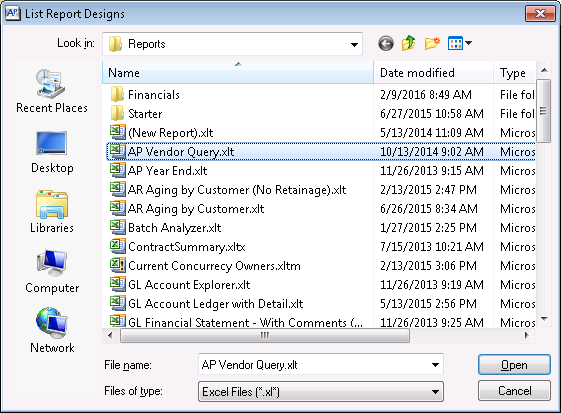 In the Report Name box, enter the name of the Office Connector Report. In the Menu Group box, enter the name of a Menu Group. 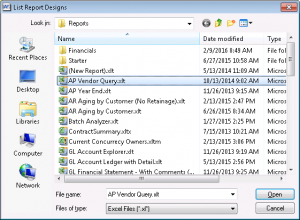 If desired, the name of a new Menu Group may be entered. Click Office Connector under Source. Click the File Name box, then click List. Select the desired Office Connector Report file and click Open. 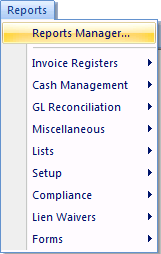 Your new Menu Category should now be visible in the Reports menu. 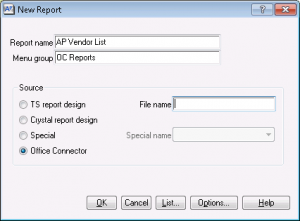 You can now launch the Office Connector Report directly from Sage 300 CRE!